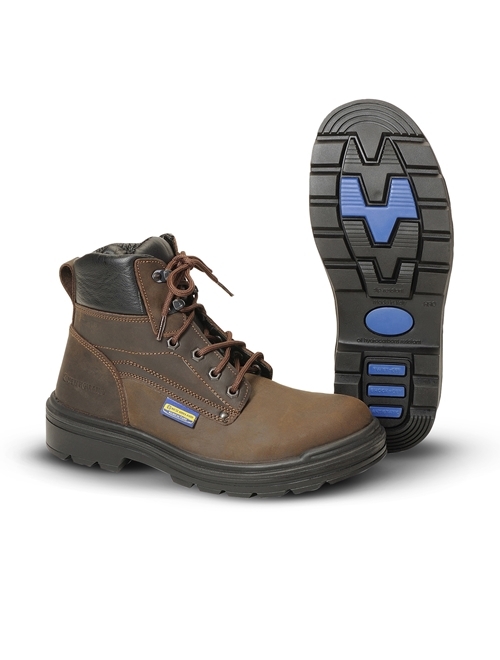 A water-resistant full-grain leather work boot with steel toe cap and midsole in multi-layer, anti-perforation composite material. The polyurethane/rubber sole is resistant to oil, acid and high temperatures (HRO can withstand up to 300° for 60 sec.) and offers extremely effective non-slip properties (SRC); a wide fit offers optimum comfort.